I tried 2nd Life, about 10 years ago. Wasn't on there 10 minutes before someone threw an invisible box over me which trapped my avatar and took me a half hour to figure out. 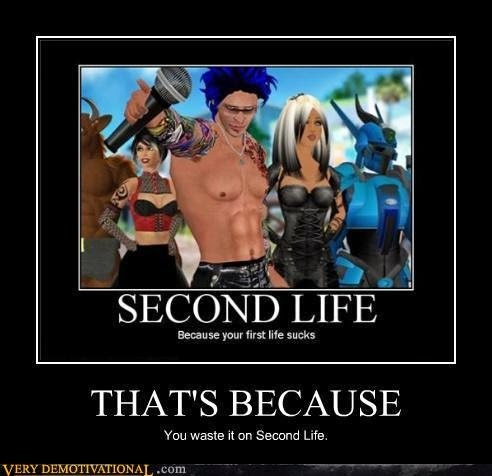 I never went back... 2nd Life was too much like my 1st life. *Here's an interesting article on 2nd Life bullying, which is referred to as "griefing." * Here's Second Life's page on "Griefers."